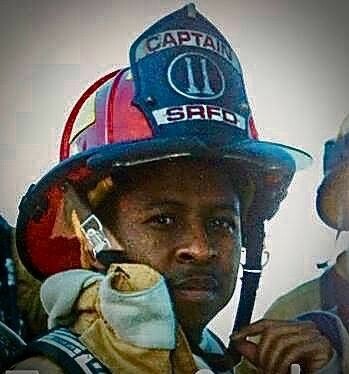 The Santa Rosa Fire Department and the Santa Rosa Firefighters Association Local 1401 are saddened to announce the passing of one of their own. Fire Captain Steve Cagle passed away the morning of April 27, 2018, after a courageous six-year battle fighting complications from a job-related stroke. Brother Cagle joined the Santa Rosa Fire Department as a firefighter in 1992 and was promoted to the rank of Fire Captain in 2001. In addition to his duties supervising an engine company, Brother Cagle was also an active member of the Santa Rosa Fire Department Hazardous Material Response Team and was an active member of Santa Rosa Firefighters Local 1401. Brother Cagle was known as one of the nicest and kindest members of the fire department, always quick with a smile or compliment. His selfless commitment and service to his family, community, department and local touched countless lives in a very positive way. Brother Cagle is survived by his mother Juanita Cagle, son Shohan Cagle and siblings George, Sherli, Michelle and Yvonne. He is preceded in passing by his father George and sister Gwenn. Services for Brother Cagle will be held on Saturday, May 19, 2018 at 11:00 AM at Good Shepherd Lutheran Church (1180 Lynwood Drive, Novato, California 94947). Any further updates will be listed on the Foundation’s website, www.cafirefoundation.org.